You may or may not be familiar with the term SD WAN. 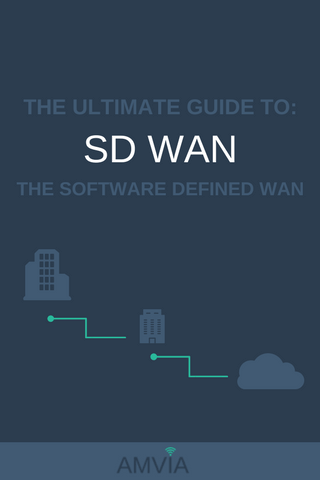 If you aren't don't worry, this guide to SD-WAN networking will reveal all. If you are familiar with SD WAN technology we'll go into detail about all aspects including, how SD WANs work, how they differ to traditional MPLS networks and how they can benefit your organisation through greater flexibility, efficiency and security. If you wish you can navigate to the relevant sections using the shortcuts below. 1. What Is The Definition Of An SD WAN? 2. How Does An SD WAN Work? 3. What Are The Benefits Of An SD-WAN? 5. What Are The Advantages & Disadvantages Of An SD WAN? 6. Who Are The Leading SD-WAN Vendors? SD WAN technology allows you to deliver SLAs for applications over broadband. You can replace branch routers with SD WAN hardware. 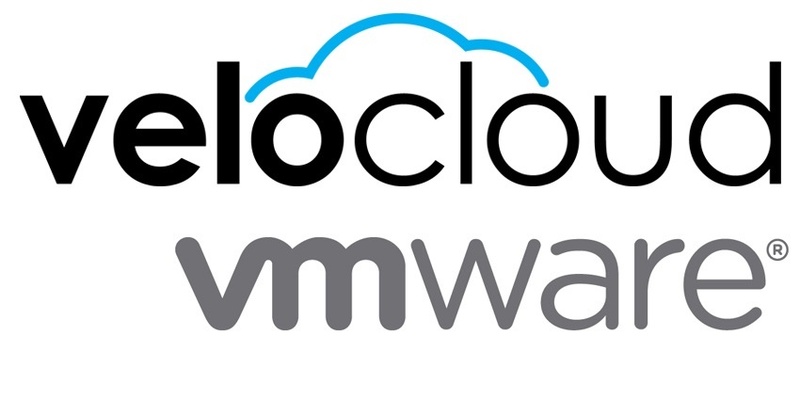 You can intelligently managed cloud based applications over the public internet. Sd-WAN growth is exploding. Did you know that a survey of enterprise communications professionals found that 30% of respondents plan to migrate to SD-WAN within one to two years. What is The Definition Of An SD WAN? The technical definition of an SD-WAN is a software defined network used to deliver a wide area network. A software-defined WAN (SD-WAN) intelligently routes network traffic across the wide area network. Network intelligence is provided by utilising edge SD WAN routers and an SD WAN controller. These devices operate to automatically determine the best way to route traffic over the wide area network. One of the main characteristics of the software defined WAN is the ability to manage data traffic over different types of network access such as DSL, Ethernet, Fibre and even 4G. What Is The Architecture Of An SD-WAN? The SD WAN is created by implementing SD-WAN routers in the network, and then managing the network using a software interface connected to the SD WAN controller. What Are The Benefits Of An SD-WAN? SD-WAN routers are smart and can choose to route traffic efficiently over multiple links. 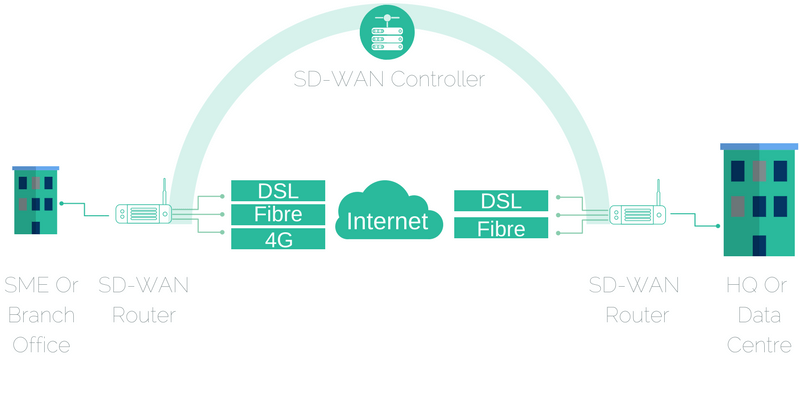 You can now utilise DSL, Ethernet and fibre to their full capacity using an SD-WAN. The SD WAN recognises the type of traffic you are transmitting and automatically selects the best path to maximise the performance of your WAN. 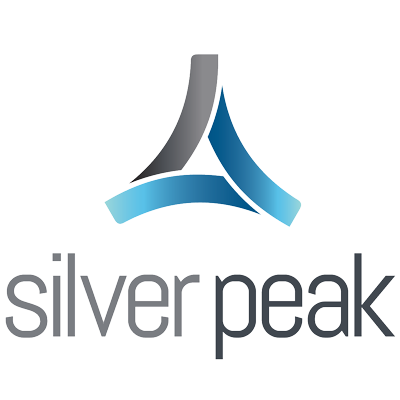 You may have used MPLS connections in the past because they are highly reliable and have stringent service level agreements (SLA). DSL, EFM, FTTC and FTTP links are cheaper but not as reliable. You can enhance reliability in an SD WAN by using, multiple, more inexpensive connections with different providers and even 4G failover. By using multiple internet links from different providers you enhance the relilience of your WAN and maintain the high level of reliability your Company demands, with a lower cost base. Your SD-WAN will employ automatic failover and load-balancing, so if one of your site links fails or is congested, traffic is automatically routed across another link. As a result, you will see an increase in your application performance and latency, as well as the enhanced performance of your business applications such as VoIP, SAAS and any cloud services. Adding and removing sites to your WAN is effortless with an SD WAN. No longer is there a need to visit a remote site to set up a new location. The SD WAN router can be shipped and remotely configured. Additionally, 4G, DSL, EFM, FTTC, FTTP, Ethernet and Fibre can are all access mediums that you can use in an SD WAN. The software operating the SD WAN allows you to use any IP connection you choose. You can quickly add and reduce bandwidth as requirements evolve. 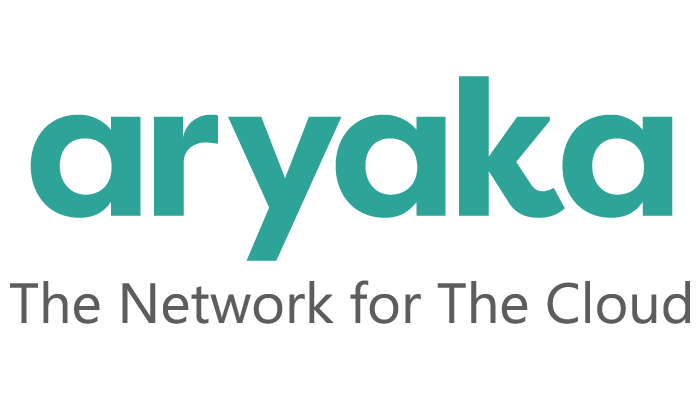 You can now use any Internet link in your wide area network. You can utilise much less expensive connections and are not limited to costly MPLS connections. Additionally, you are now able to avoid the inflexibility of long provisioning times that MPLS circuits have. You can make more efficient use of your WAN connections too by allowing the SD WAN to utilise all available network connections to their full capacity without worrying about maintaining idle backup links. Your SD-WAN will use the Internet to create highly secure, fast virtual private network connections, eliminating the need for expensive long-distance point to point leased lines. Your SD-WAN will automatically provide a secure encrypted WAN when it moves your data from one location to another. If you do experience a security breach, the SD WAN will segment your network protecting the integrity of your Company's data. Your SD WAN will also provide you with enhanced visibility of the amount of and type of traffic passing over your WAN, enabling you to identify any suspicious activity quickly. MPLS Advantages & Disadvantages: If you are considering an SD WAN or an MPLS WAN one of the first decisions you have to make is, how important is the delivery of packets in my network? MPLS is still the defacto when it comes to quality of service across a wide area network. If QOS and the avoidance of losing mission-critical application data packets are crucial to your management of your WAN, then MPLS may be your only option. MPLS allows you to label packets and in doing so prioritise all of your traffic by application throughout your wide area network. Some businesses need this level of control and the cost that comes with it to maintain the quality of real-time protocols, such as Voice of IP (VoIP). The ability to label packets gives you ultimate control over your network performance albeit at a high price. The major downside of MPLS is the cost of the network links. The use of bandwidth is increasing at a fast pace due to the use of VoIP, video conferencing, rich web browsing experiences such as video. MPLS network links increase in cost according to the capacity of the line. Companies can find that the high per-megabit cost that MPLS demands can be out of reach. Another disadvantage of MPLS is the speed of delivery. It can take 90 working days or longer if construction or wayleave is required to install a line. MPLS does not offer you built-in data protection. If you do not protect your MPLS and update the security patches regularly, the WAN will be open to security vulnerabilities. What Are The Advantages & Disadvantages Of An SD WAN? SD WAN Advantages & Disadvantages: An SD-WAN offers you several benefits over an MPLS network. The core value proposition an SD-WAN offers you is that it promises to reduce costs and management time, while increasing security and flexibility. Unlike MPLS, your SD-WAN can use DSL, EFM, FTTC, FTTP, Ethernet, Fibre or 4G. The flexibility of the underlying network types is probably the most significant advantage an SD-WAN offers you. You can mix and match network access types according to the kind of network traffic or priority. For example, you could allocate web browsing to DSL and VoIP to Ethernet. DSL, 4G, FTTC and FTTP cost far less than an MPLS circuit, and an SD WAN allows you to operate over those links instead of the expensive MPLS network for certain types of lower-priority traffic. SD WANs offer you far more flexibility and speed than MPLS networks. You can rapidly deploy DSL, FTTC, FTTP and EFM throughout the network if you need to. The ongoing cost of operating these links is also far less than MPLS circuits. You can also upgrade these circuits quickly without having to change your infrastructure or network significantly. One of the enormous benefits you get with an SD WAN is added security to your wide area network. Built into SD WAN management software is advanced security encryption that covers everything from the network to the devices accessing the network. Internet access is encrypted, and any endpoint devices such as laptops, PCs and routers use key-exchange authentication managed via the SD WAN software controller. It is not possible to fully manage your network traffic at the packet level using an SD WAN. If you need full QOS with packet level tagging then MPLS is still your only option. “We replaced our MPLS network, increased bandwidth and saved over 40% of our WAN operating costs."